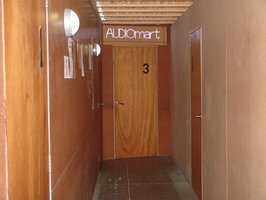 "Putting you and Your Music first"
At AUDIOmart, we’re here for you. Our goal is to make your experience comfortable and your rehearsal efficient, like you never left your house. 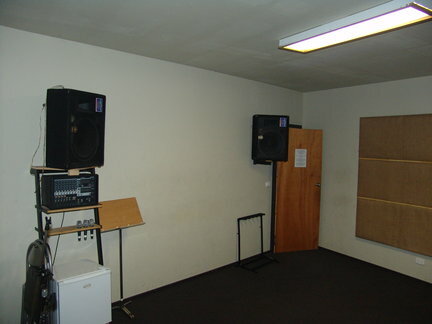 Our rooms have a carefully designed balance of sound absorption and reflection. Left your leads, strap or cables at home? We’ve got your back. Hit up our wall of spares for a loaner. Need a break? Play some foosball in our mezzanine chill out zone. If Marty’s around, stick your head in his office and ask to try his in-house roasted beans. Just don’t ask for customised latte art. Rosettas are enough of a challenge. We’ve tried our best to cover all bases. Want to form a band, but don't have all the gear? Can’t fit all your instruments plus your whole band in your car? 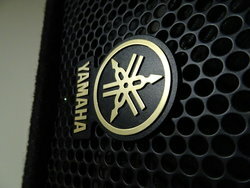 We hire drums, guitar and bass amps out. We also offer inexpensive on site storage, so your band can drive all your gear here once and not worry about who’s bringing the amp or turning back for Pete’s electric guitar again. Get it together, Pete. If you’ve got any special requests, just ask! 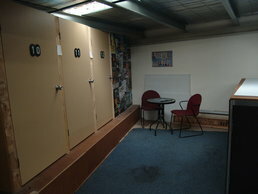 Storage cupboards and mini chill-out zone. 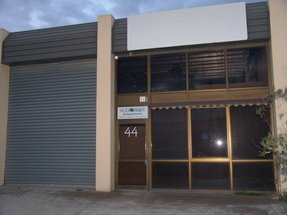 Check out whats happening at AUDIOmart, (click on Heading). Alternate material, (click on Heading).